Exciting times are up ahead for Heroes of the Storm. This Summer, two more heroes are entering the Nexus and ranked play is getting a thrilling revamp. On top of these updates, more new content is lined up. Here’s a preview of what’s in store. 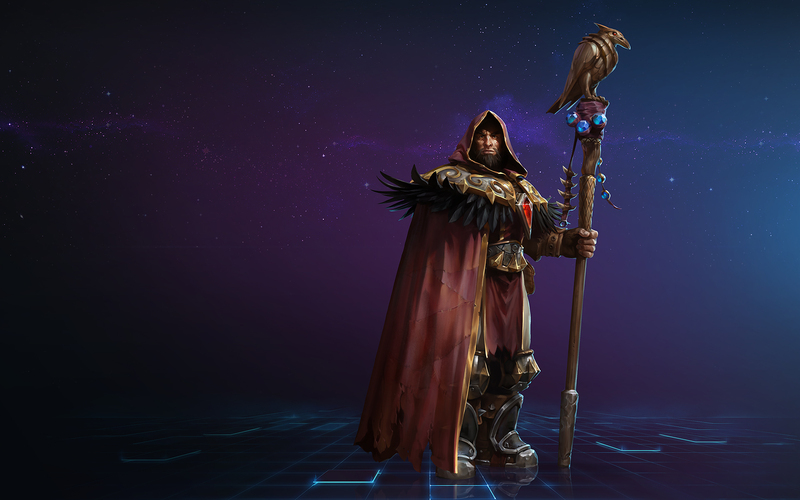 We think you’ll love what’s in store for Heroes of the Storm. The 52nd hero to join the Nexus is Chromie, the first representative of the Azeroth Dragonflights in the battlegrounds. Chromie is a long-range artillery mage with the ability to bend time to her will. With some of the highest kill-potential in the game, this Gnome packs a very powerful punch. Chromie will be joining the Nexus during the week of May 17. Not to be left behind, Medivh, a powerful ranged Specialist wielding arcane powers able to manipulate the battlefield will be joining the Nexus during the week of June 14. With the ability to create portals for his team and become an invulnerable Raven, players will soon learn that it’s great to have this Archmage on their side. For the full details, visit the website. 14th June 2016 marks a new beginning in Heroes of the Storm Ranked play. Gear up for new features, loads of improvements, and tons of rewards with the new system. In place of the ladder system, the new ranked system is divided into League Tiers and Divisions. A League Tier is a large bucket meant to give a general idea of a player’s skill level. Each tier up to Master League is then broken down into divisions, with the lowest division within a tier being five, and the highest being one. Divisions within a tier designate how close or far a player is from advancing or falling to the next tier. Ranking is also made easier in the new system. At the beginning of each season, a series of ten Placement Matches will determine your initial rank. With each ranked match played after your initial placement, you will gain (or lose) rank points. There’s a special place reserved just for the best of the best. Instead of divisions, Master league badges will display the total number of rank points you’ve accumulated in Master league this season, so players can easily track their progression against other Master League players. Grand Master league will be comprised of the top 500 point earners in each region’s Master League. For players in this league, badges will display a number ranging from 500 to 1. This number is a player’s position in the overall Grand Master rankings for their region, which will be updated on a daily basis. There are loads of improvements in the new ranked system. Battling it out in Ranked play every season is truly an epic challenge, and all epic challenges deserve epic rewards. Players who participate in Hero League and Team League seasons will be rewarded with a practical pile of treasure at each season’s end based on their ranked performance in Team and Hero League. Get the full details in the website.